LEAP Managed IT is excited to provide IT solutions to variety of businesses and organizations. We focus on working together with our clients to help tailor an IT Master Plan specifically for their business needs. It is also exciting to work with companies that share a common goal and a great history. Wasson Nursery has traveled a similar path as LEAP facing rapid growth, a constantly changing environment and most importantly a belief in putting people first, employees and clients alike. In case you are not familiar, let us introduce you to one of our client partners. As a locally owned and family run business, Wasson Nursery is the plant and landscape authority Indiana has trusted for over 40 years. With locations in Fishers, Muncie and Union City. Their Motto is simple: “We Build Better Backyards”. Wasson Nursery can help a gardening armature create their first planter or garden. While simultaneously helping create, design and install a backyard Oasis. They offer Care Guides, How To, Landscape Design and Lawn care help just to name a few. Most noteworthy, Wasson’s understands the importance of reaching out to the community. Each of their locations host a variety of activities that are fun and interactive while bringing neighbors together. They range from the well-known Peach Truck visit to Ladies Night Out events and family weekend festivals. Finally, if you haven’t already, stopped in to visit one of their locations. Enjoy browsing the beautiful displays and be inspired by nature. Talk to their friendly and approachable experts and learn more about their services. Being an IT solutions provider, LEAP is happy to share a little insight about our client partners and highlight their area of expertise. Above all we are thrilled to have the opportunity to work with Wasson Nursery and watch them flourish. 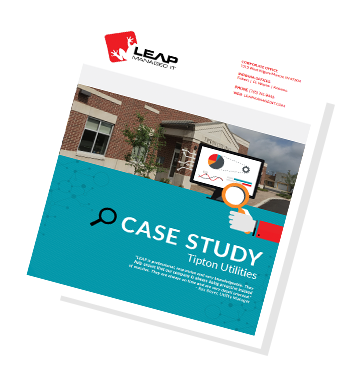 Lastly, visit LEAP Managed IT to learn more about IT solutions and how developing an IT Master Plan can help your business. LEAP Managed IT has offices in Indianapolis, Fishers, Muncie, and services clients throughout the FT. Wayne and Cincinnati areas. Visit us at leapmanagedit.com to learn more.